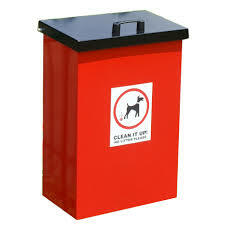 Middleton Cheney Parish Council actively encourages dog owners to act responsibly and clear up after their dogs. It is illegal not to clear up the mess left by your dog as soon as it has fouled and those that leave their mess behind are liable to a fixed penalty notice. It is the responsibility of the dog owner or the person in charge of a dog to clear up any mess left by the dog as soon as it has fouled. Dogs are restricted in children's playgrounds around the village.